The only certainty we can count on in this rapidly changing world is that homes of the future will have to be a lot smarter. They will need to rely on renewable energy, be compact in size, produce a decreased amount of waste and probably even be mobile (should weather extremes become worse). Green lifestyle web-mag, WebEcoist, recently highlighted a number sustainable home concepts that range from the fantastical to the surprisingly practical, but they all have one thing in common: they are actually already in production. 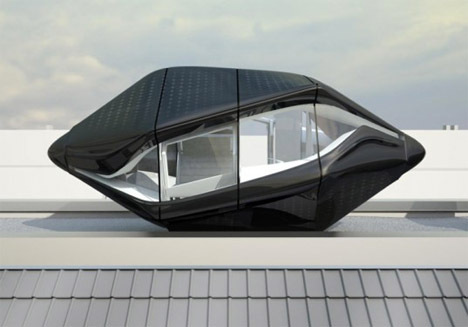 This self-sustaining pod home can be placed just about anywhere, including atop urban buildings, and can transform from an office to a lounge to tiny lodgings. 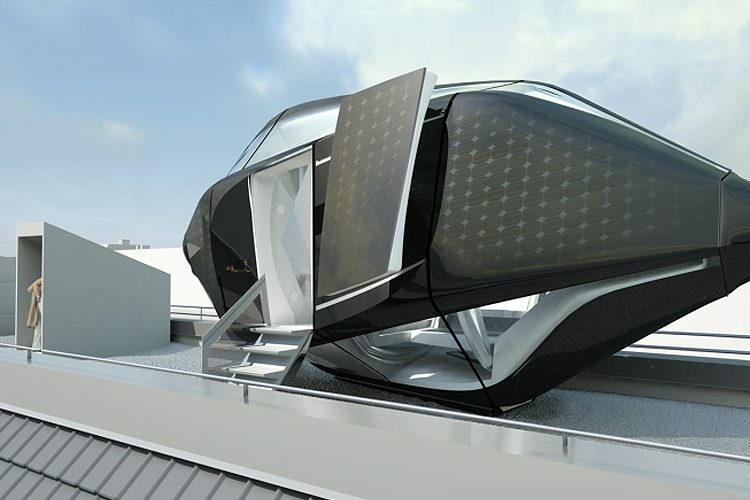 Designed by Nau architects, the 28-foot-long Living Roof Capsule generates its own electricity through solar and wind power. It can also be used as a private mobile penthouse. This zero-energy, small-scale solar home collects rainwater and harnesses solar energy on a sloping wooden roof that doubles as a terrace. The unit has a small footprint and few windows on three sides to cut back on heat gain within, while glass walls on the fourth side look out onto a body of water. 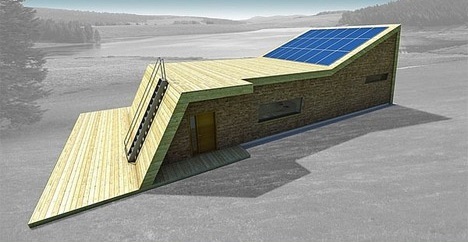 Imagine the possibilities if you could grow your own house. 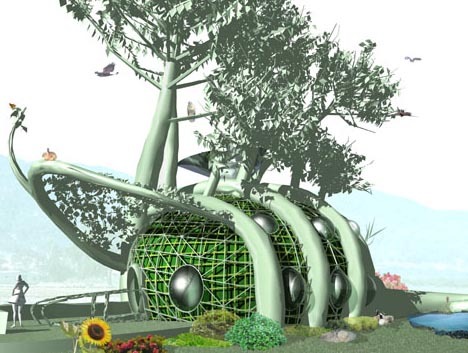 This concept by a team of designers at Tel Aviv University uses a lattice of trees and fast-growing vines to create a base structure around which other materials can be added. A company called Plantware is currently looking at ways to transform this concept into viable commercial applications. 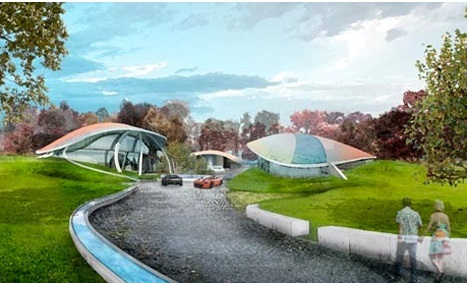 The cylindrical design of the Gemini House, almost entirely covered in solar panels, ensures that maximum rays are caught throughout the day and throughout changing seasons in order to generate constant, reliable and renewable energy. 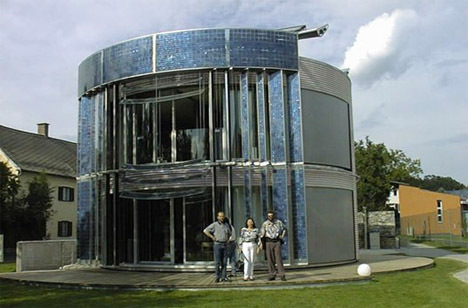 In addition to the 150 meters-worth of solar panels featured on its surface, the home boasts extreme thermal insulation, a heat recovery system and a highly unusual, futuristic look. When the sun shines too brightly into your home in summertime, you might just close the curtains to reduce overheating. But what if you could close off an entire wall instead? The transforming D*Haus can actually itself turn inside-out. The interior glass walls becoming the exterior walls and vice versa, allowing the home to open up more in milder conditions and close up when the weather is harsh. Using a windfall to make a difference, the creation Serenity is being funded by winners of a multi-million-pound lottery prize in the UK. 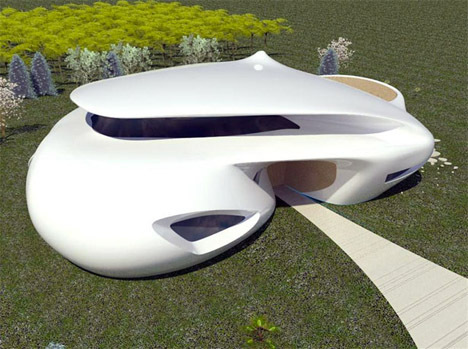 The futuristic sustainable residence is a sinuous home that’s definitely cool-looking. 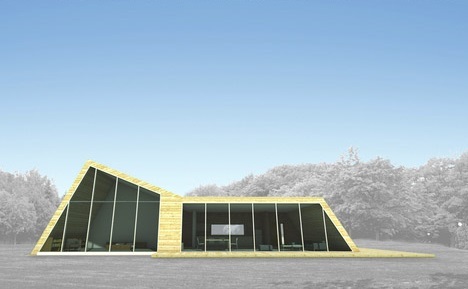 Its solar-panel-covered amorphous roofline stretches out to shelter various living volumes. 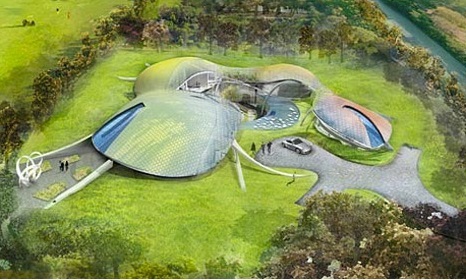 However, critics worry that the house may not be as green as it touts considering its enormous size. This house by Ephraim Henry Pavie Architects and Designs completely does away with the archetypal house shape in favor of a curvaceous biomorphic silhouette that blends in with the natural surroundings. Pavie is known for creating sustainable homes that take advantage of solar energy and are often inspired by Feng Shui. Who doesn’t want a Caribbean way of life? John Allsopp’s Antillean Gothic concept house taps into this desire while designing a haven that protects occupants against natural disasters. Inspired by the disaster that rocked the island nation of Haiti in 2010, the house is raised above ground level to protect against floodwaters and features cross-ventilation to take advantage of ocean breezes. If sea levels do indeed rise as the soothsayers say it will, we had best prepare ourselves for a Waterworld-type future. 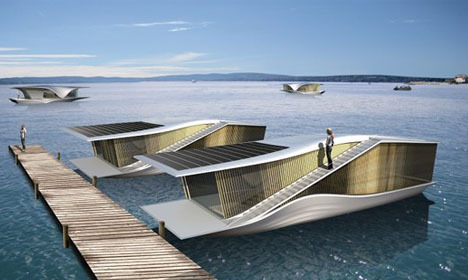 If so, it will probably be handy to have homes that function as private floating islands. 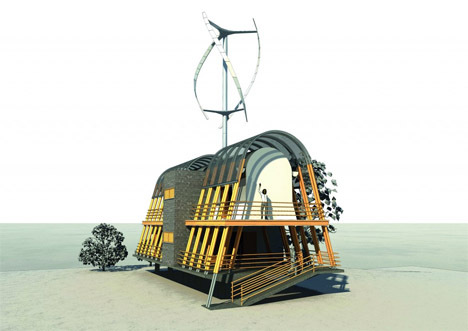 The Waterpod is constructed from recycled materials and runs on solar, wave and wind power for an ultimate water-based off-the-grid living experience. 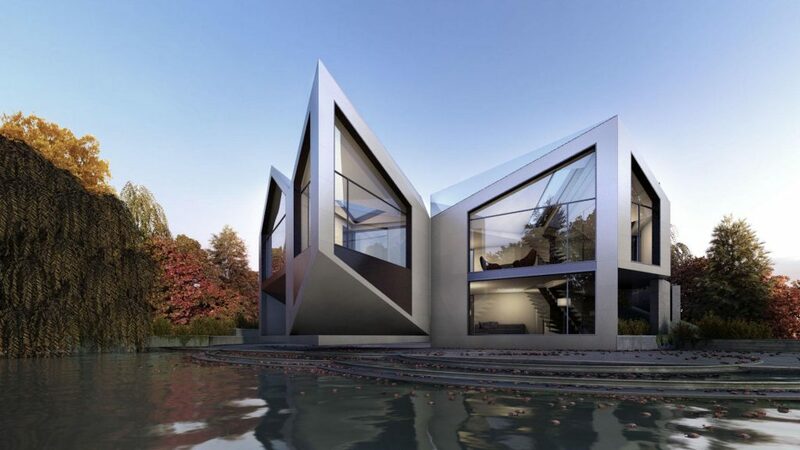 Perhaps the houseboats of the future will look a little like this? RAFAA Architecture & Design has created a sleek two-story housing unit with solar panels on the roof. 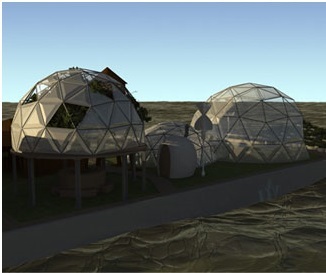 Entitled “Last Resort,” the design implies a future wherein floating homes might be a necessity. But lifestyle seekers aren’t waiting that long, seeing an opportunity for a unique way of life with this creation. 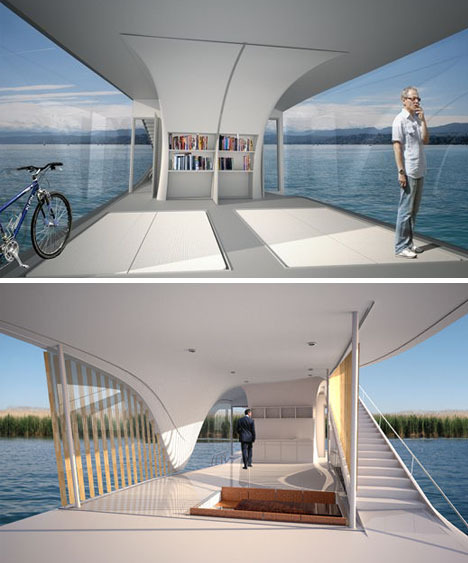 The floating home is already scheduled for mass production.